incentives—that can further break down barriers to achieving the full promise of distributed energy systems. The U.S. national laboratories as well as public-private partnerships provide financial resources and access to research facilities that foster innovation in three key areas: Microgrids, Energy Storage and Energy Smart Technologies. This entry was posted in NewsBlog, Research and tagged Director Phyllis Cuttino, energy innovations, energy smart technologies, energy storage, microgrids, Nebraskans for Solar, PEW Charitable Trusts' Clean Energy Initiative on February 29, 2016 by Helen Deffenbacher. In the US, rural areas and constituencies have typically weighed against progress on clean energy. But that may be changing. A new story out of Wisconsin illustrates that a slow, tentative shift is underway, as rural electricity consumers and the utilities that serve them take a new look at the benefits of solar power. In fact, if you squint just right, you can even glimpse a future in which rural America is at the vanguard of decarbonization. The self-reliance and local jobs enabled by renewable energy are of unique value in rural areas, and rural leaders are beginning to recognize that solar isn’t just for elitist coastal hippies any more. To learn more about Rural Energy For America Program (REAP) grants mentioned in the article, click here. May 2nd is the deadline for the current round of grant applications. This entry was posted in Nebraska / Midwest News, NewsBlog and tagged Nebraskans for Solar, Rural Electric Cooperatives & solar energy, Rural Energy for America Program (REAP) grants, Vox on February 29, 2016 by Helen Deffenbacher. The governors said they will direct senior advisers to meet shortly to discuss ways to implement the goals in the accord. “We believe that economic growth and environmental protection aren’t mutually exclusive, but can happen in concert—we can indeed create good paying jobs, lower electricity bills for residents, and embrace greener, cleaner forms of energy,” said Gov. Dannel Malloy of Connecticut, a Democrat. Click here to read three of the governors’ priorities highlighted in the article. 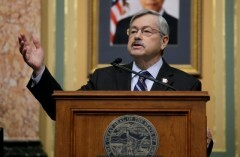 Photo: Republican Terry Branstad of Iowa, the nation’s longest-serving governor, is among signatories to the Governors’ Accord for a New Energy Future. This entry was posted in Nebraska / Midwest News, NewsBlog and tagged Electric Co-op Today (ECT), Governor Terry Branstad, Nebraskans for Solar, renewable energy & economic development, The Governors' Accord for a New Energy Future on February 29, 2016 by Helen Deffenbacher. SAN FRANCISCO (CBS SF) – New legislation introduced Tuesday by San Francisco Supervisor Scott Wiener would require all new construction within the city, including residential and commercial buildings, to have solar panels installed. The renewable energy ordinance would make San Francisco the first and only major city in the country to require the installation of solar panels on new buildings. The [legislation] would also help push the city closer toward meeting its goal of having 100 percent of its energy come from a renewable source, according to Wiener’s office. This entry was posted in NewsBlog and tagged Nebraskans for Solar, new renewable energy legislation introduced in San Francisco, proposed ordinance requiring solar panels on new buildings, U.S. cities with goal of using 100% renewable energy on February 27, 2016 by Helen Deffenbacher. As a costly and controversial public art project reaches its final vote for funding at the Iowa City council meeting next Tuesday, a game-changing “solar tree” public art initiative launched by the 100 Grannies for a Livable Future has galvanized a groundswell of support for a more community-based, inclusive and environmentally focused alternative that could serve as a public art model for other American cities. According to John Packer, the designer and artist behind the Bristol Energy Tree, “A tree is a metaphor, a playful metaphor – all trees are solar trees.” The Bristol Energy Tree is constructed with multi-directional solar panels for ‘leaves” and eight “roots” that enclose power points for recharging mobile phones. The solar cells are made from recycled fragments of broken panels that would otherwise have gone to waste. This entry was posted in NewsBlog and tagged 100 Grannies for a Livable Future, Huffington Post, Iowa City's Downtown Showcase Artwork, Nebraskans for Solar, The Bristol Energy Tree on February 27, 2016 by Helen Deffenbacher. Tuesday, March 1st from 7:00 to 8:30 p.m.
Tim Hemsath, Associate Professor in UNL’s College of Architecture, Research Fellow, UNL’s Center for Urban Sustainability. Tim was the architect for the ZNETH and ZNETH II energy efficient prototypes working with the College of Engineering. Mahmoud “Moe” Alahmad, PhD, Associate Professor in The Durham School of Architectural Engineering and Construction at the University of Nebraska-Lincoln. His industry experience includes over 10 years of infrastructure planning, design and analysis of electrical distribution systems for the built environment. Avery Schwer, PhD, Associate Professor in The Durham School of Architectural Engineering and Construction at the University of Nebraska-Lincoln. Director for the Sustainable Communities Project. Teaches the sustainable construction courses. Research focuses on the investigation of renewable and sustainable high performance building & community applications. What are Zero Net Energy Homes? How do you design and build a Zero Energy Home? How do you transform your existing home into a Zero Energy Home? How affordable are Zero Energy Homes? Are there any Zero Energy Homes available for sale in Nebraska? Can a home produce MORE energy than it uses? This entry was posted in Nebraska / Midwest News, NewsBlog and tagged Avery Schwer, Mahmoud "Moe" Alahmad, Nebraskans for Solar educational series, net-zero energy homes, Tim Hemsath, University of Nebraska-Lincoln, UNL research on net-zero energy buildings on February 26, 2016 by Helen Deffenbacher. 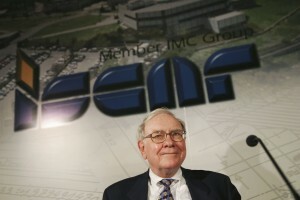 $3.6 billion/year in value from a grid-interactive fleet of water heaters. Source: RMI. WHY THE BUZZ ABOUT WATER HEATERS? Water heaters and batteries have one fundamental feature in common: they both store energy, batteries as charge and water heaters as heat. This ability to store energy gives water heaters flexibility. For example, they can be heated at night when power is cheap without jeopardizing your ability to take a hot shower in the morning. Grid-interactive water heaters (GIWH) are electric water heaters that the grid operator or the local utility can control in real time (or the customer, automated software, or a third party could control them in response to granular retail price signals from the utility). This controllability makes a GIWH valuable for more than just hot showers. For example, in addition to heating water when power is cheap, it can also shut down during yearly system peaks, help integrate renewables, and provide services to the electric grid like frequency regulation. Optimizing water heaters like this can significantly reduce carbon emissions and, as explained below, create billions of dollars in value. This entry was posted in Energy Storage, NewsBlog, Research and tagged Brattle Group Report, energy cost savings, energy storage, grid-interactive water heaters, reducing carbon emissions, Rocky Mountain Institute on February 25, 2016 by Helen Deffenbacher. Wisconsin’s Dairyland Power Cooperative and its member cooperatives announced a historic investment in solar energy on Wednesday, unveiling plans to build more than 15 megawatts of new solar energy at 12 locations across Wisconsin . . . Brad Klein, Senior Attorney at the Environmental Law & Policy Center, said the Dairyland announcement sends a strong signal to rural electric cooperatives across the Midwest. The National Rural Electric Cooperative Association (NRECA) is the national service organization for more than 900 nonprofit rural electric cooperatives and public power districts providing retail electric service to more than 42 million consumers in 47 states and whose retail sales account for approximately 12 percent of total electricity sales in the United States. NRECA’s members include consumer-owned local distribution systems — the vast majority — and 66 generation and transmission (G&T) cooperatives, such as the Dairyland Power Cooperative, that supply wholesale power to their distribution cooperative owner-members. Wisconsin electric cooperative to procure power from 15 MW of solar PV, by Christian Roselund, pv magazine. Wisconsin currently only has around 25 MW of installed PV, which means that this 15 MW will increase the state’s installed solar capacity by 40%. Dairyland Power Cooperative Invests Heavily in Solar Energy, by Hope Kirwin, Wisconsin Public Radio. Dairyland’s Business Development Manager Craig Harmes said the new facilities will use sun-tracking technology instead of the typical fixed array. 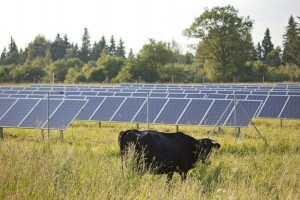 This entry was posted in Nebraska / Midwest News, NewsBlog and tagged Farm Energy.Org, Midwest solar energy developent, National Rural Electric Cooperative Association (NRECA), Nebraskans for Solar, PV Magazine, Rural Electric Cooperatives, solar development in Wisconsin, Wisconsin Public Radio on February 25, 2016 by Helen Deffenbacher. Utilities want to make money at the edge of the grid, but how? Click image to download survey. 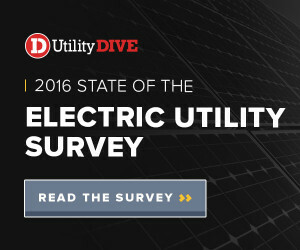 This entry was posted in NewsBlog, Research and tagged 2016 State of the Electric Utility Survey, Nebraskans for Solar, research on utilities emerging revenue streams versus traditional models, Robert Walton, Utility Dive's third annual survey of electric utilities on February 25, 2016 by Helen Deffenbacher.